As I’ve said many times on this website, I’m sorry you’ve found me if you’re going through this heartbreaking journey of grieving your child. I’m sending you all my love and praying daily for you to have peace and support during this time. No words will ever take away your pain, but I hope my words and my Jensen’s story will help you, just as it helps me. I wish I could take away all this pain from the world and bring you back your angel, every second I wish that. On April 5, 2016 my whole entire world was turned upside down. Instead of bringing home my perfect little, blond boy, I left the hospital with my angel baby watching me from heaven. Every day since I’ve known I wouldn’t be bringing Jensen home with me has been a complete challenge. I’m in an emotional and mental tornado of grief. During this grieving process, I knew for sure I wanted his life to be remembered for all the happiness he gifted me. This website is meant to help my grieving process, aware others about stillbirths, and show everyone the good that can be spread while honoring my Jensen’s precious life. Jensen Grey weighed seven pounds and one ounce and was nineteen and three quarter inches long. He had the chubbiest cheeks and perfect button nose. His lips were set in a pout, that made think he would put on that face to get whatever he wanted. I see his features, that he inherited from me, every time I look in the mirror. His feet looked identical to mine and his hands match his uncle and grandpa’s. In all my life, I have never seen such a perfect baby. I imagine the angels singing and swooning over him in heaven as his great grandma holds him. He is wanted. He is missed. He is very loved. I wanted to introduce you to me. My name is Danielle. 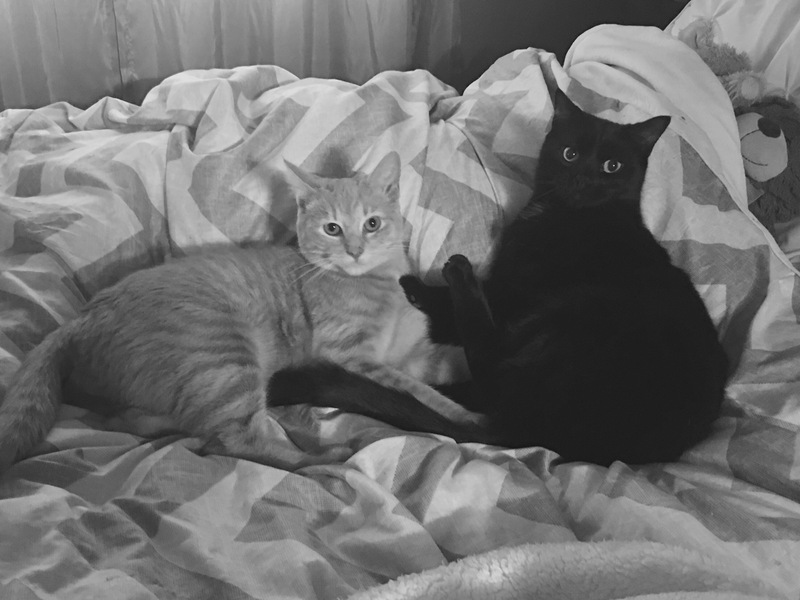 I am Jensen’s mom and a cat mom to my black cat, Poe, and orange kitty, Leo. I’m twenty-three and live in small-town, Ohio. I work from home, but plan on going back to school to become a teacher in the spring. It has always been my dream to be a teacher and a promise I made Jensen. My life has been crazy in the months following Jensen’s birth. I’ve been journeying through grieving my son and have had to endure being a single, bereaved mom. Through it all, I’ve kept writing every moment that I’ve experienced in hopes to be able to help other moms that are experiences the loss of their child, at any age or gestation. If you or a family member has any questions or would just like to stop and say hello, feel free to email, comment, or connect with me on social media.